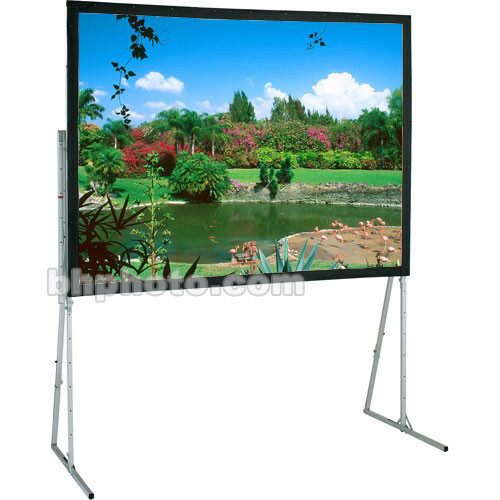 The Draper 66.5 x 102.5" 1.48:1 Ultimate Folding Screen with Matt White XT1000V Projection Surface is manufactured with CNC machined components. The screen itself features a Matt White XT1000V finish which means it has an extra wide viewing cone (half brightness @ > 60°), typical contrast for environments with controlled ambient light, and a gain of 1.0. The Ultimate Screen is a useful addition to a school or business that requires a reliable and easy-to-use screen without a permanent installation. The heavy duty wheeled case is made from polyethylene and can be used for travel.